Ravioli opens its doors to schools – Ravioli S.p.A.
On the 16th of November, Ravioli S.p.A. has the pleasure to take part in Industriamoci – PMI Day 2018, a project created and promoted by Assolombarda, we are proudly members of since a long time. The initiative, which provides for a visit to our Company by a selection of students from the eight grade, has the intention of letting the students approach the reality of an SME in order to help them choosing their future educational path. As an historic Milanese Company, we were pleased to tell the students and their teachers our history, our mission and vision, our values and the way people every day are the key that make our Company and our products so unique. The visit and our brief story had the intention of inspiring the students’ decisions in such an important transition from the eight grade to high school, in terms of choosing their future education and career. 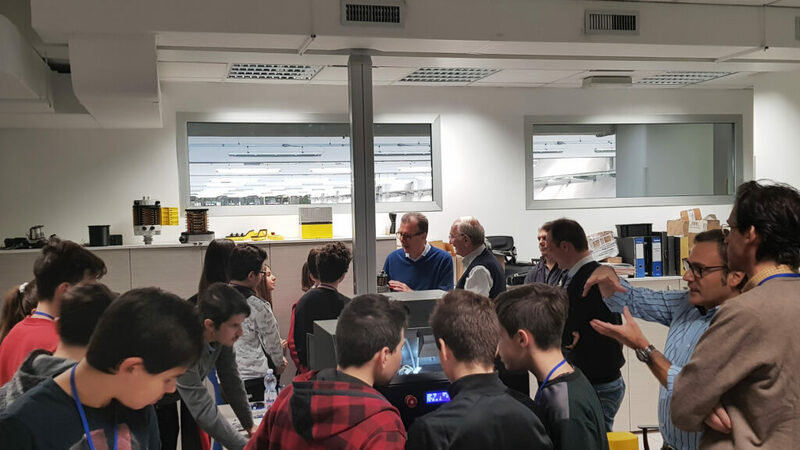 Thanks to our own peculiarity of manufacturing our products entirely in our headquarter in Milan – starting from the design, to the assembling and testing in our highly specialised tech lab – for one day, our Company became a true source of inspiration for young boys and girls keen of tech careers, aspiring Engineers and Technicians. 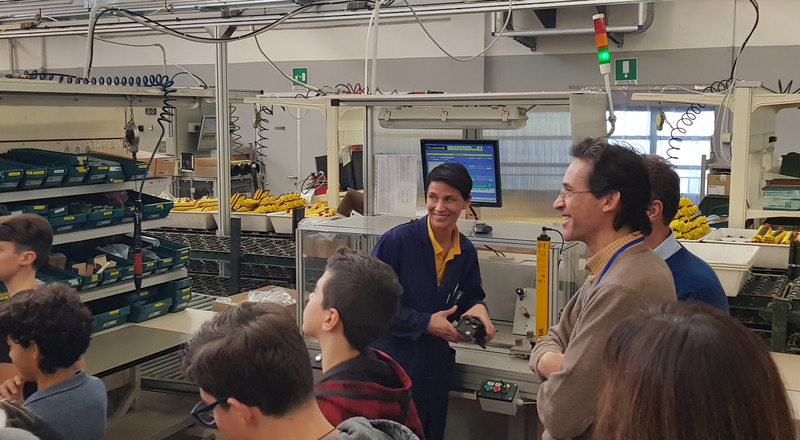 The enthusiasm, the deep involvement, the attention and the curiosity of the students are the same that enliven our partners and employees everyday to face new challenges, develop high-quality, innovative and cutting-edge products, manufactured to satisfy the needs of our clients and partners. 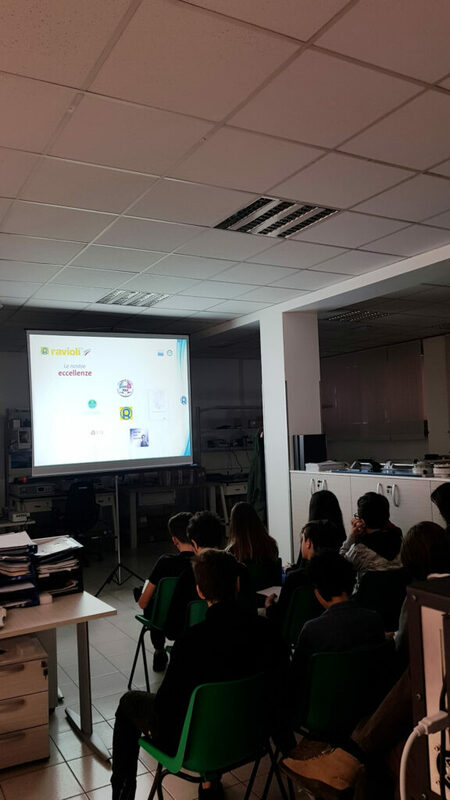 A very sincere thank you to Assolombarda for creating and making possibile this orientation day, and to the School SMS 4 Giugno 1959 in Magenta, to the students and the teachers, for giving us this wonderful opportunity. Have contributed, although partially, to ignite or fuel the interest of the students towards the field in which Ravioli operates everyday, as well as have supported them by suggesting any possible future choice, is a source of joy and great pleasure for us. We believe in a better future and in the young people who can make it real.